March | 2014 | Anyone For Seconds? As a big fan of one-pot dishes, they come into their element when having guests over for dinner, as you can spend time with them, instead of slaving away in the kitchen, while the aroma fills the house. 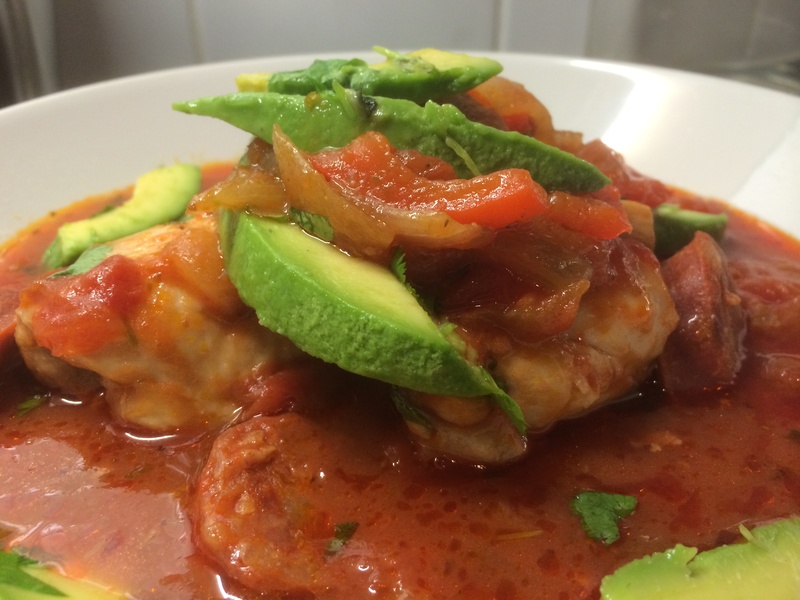 Definitely make sure you have some zingy chorizo to go with this, as the flavours really seep into the chicken. 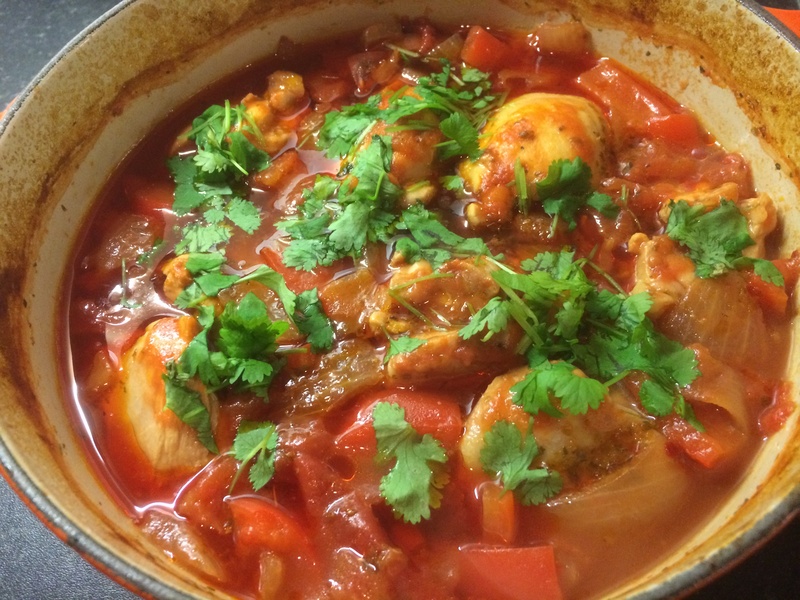 A warming hearty dish to try and make the rain and floods of the British winter go away! 1. Heat oven to 180C/fan 160C/gas 4. Fry the onions in the oil for 5 mins until they become soft and start to colour. 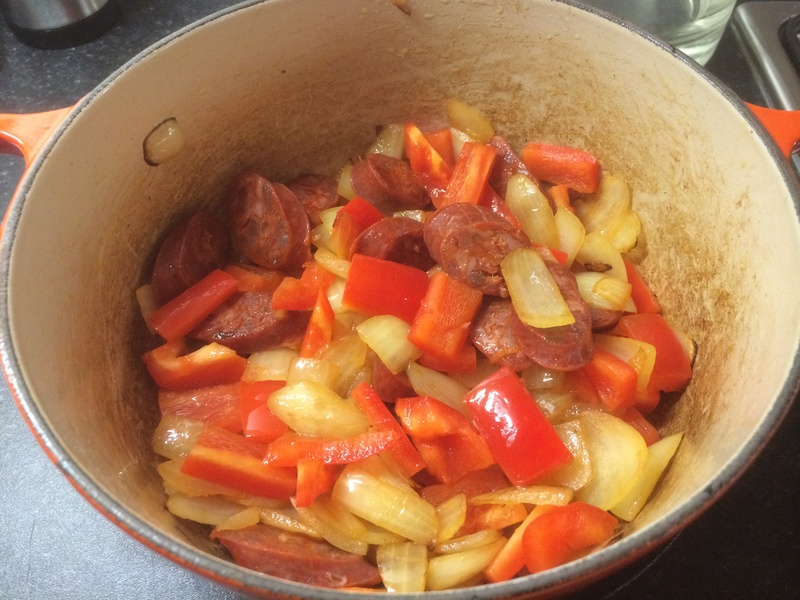 Add the chorizo and fry for a few mins more. 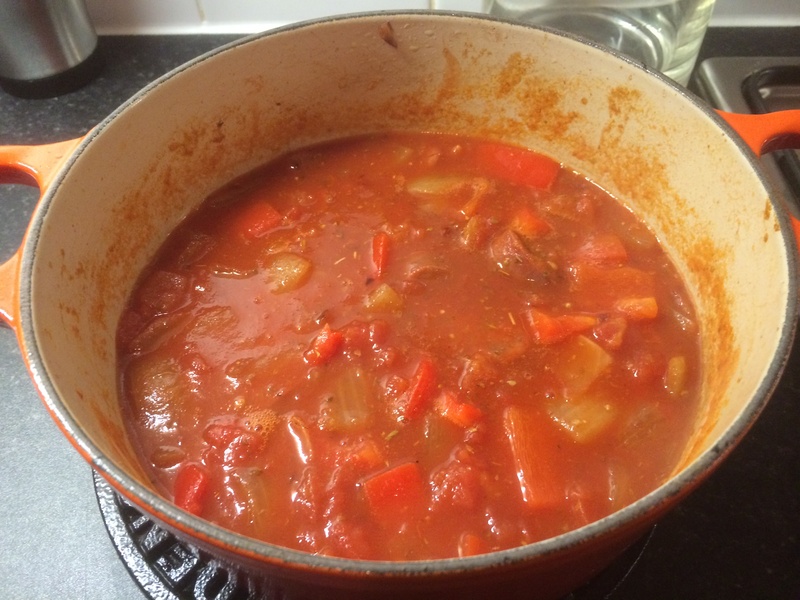 Stir in the peppers, then pour in the tomatoes, followed by a can of water, the stock cubes, chilli and oregano. 2. 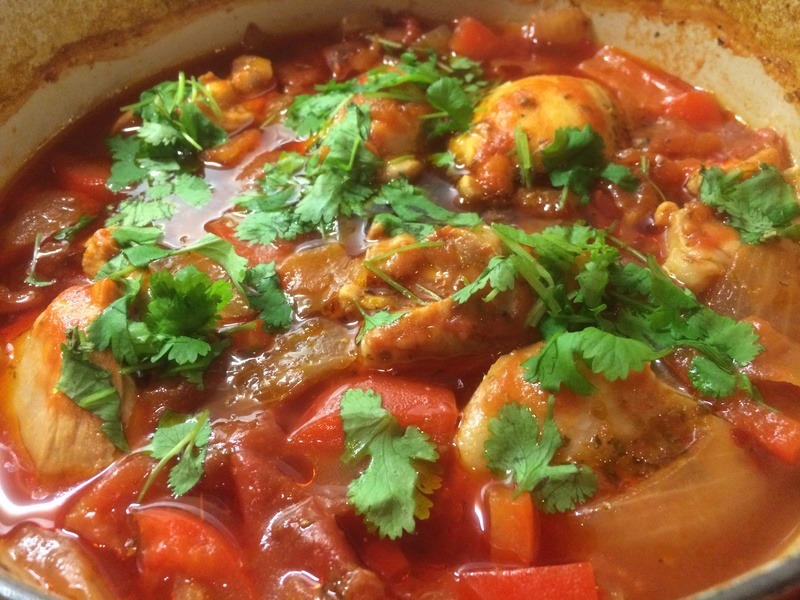 Arrange the chicken thighs on top of the sauce, pushing them under the liquid. Bring to a simmer, cover, then cook in the oven for 40 mins. Add the beans, stir, then cook for 20 mins more. You can make this up to 2 days ahead and keep chilled. 3. To serve, reheat on the top of the stove or in the oven at 190C/fan 170C/gas 5 for 1 hr 10 mins until piping hot. Stir in most of the coriander, toss the rest with the avocado, lime and a little salt, then pile this on top. Serve with Garlic & oregano bread (below) and a bag of green salad tossed with olives, cherry tomatoes and finely sliced red onion.